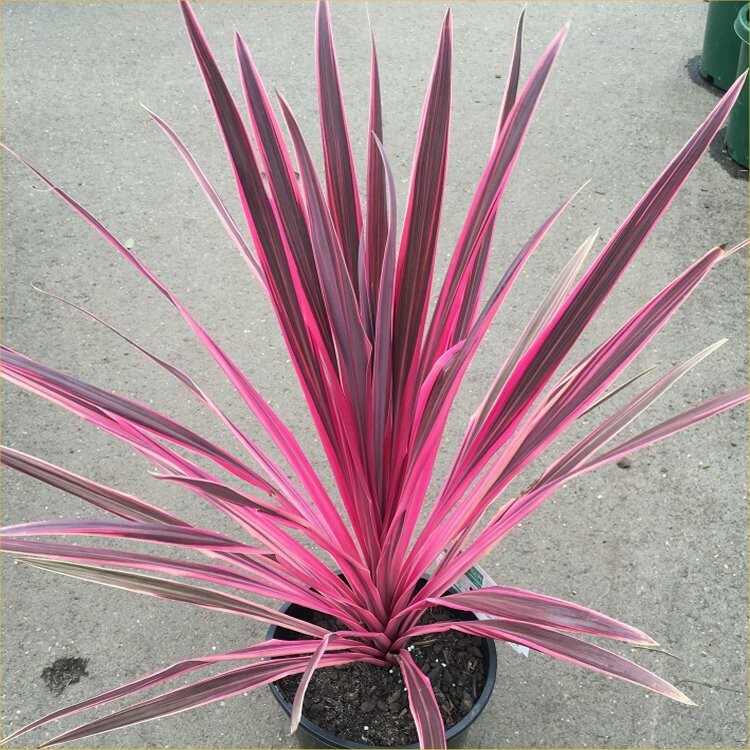 These hardy "Pink Passion" Cordylines are really taking the garden world by storm, and it's not hard to see why. 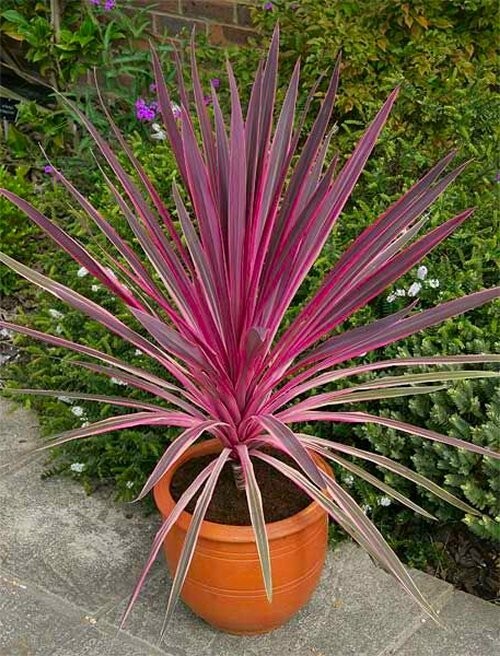 Cordyline Pink Passion is a new comer for adding interest to your garden and patio planters, offering a completely new colour variation to anything available before. 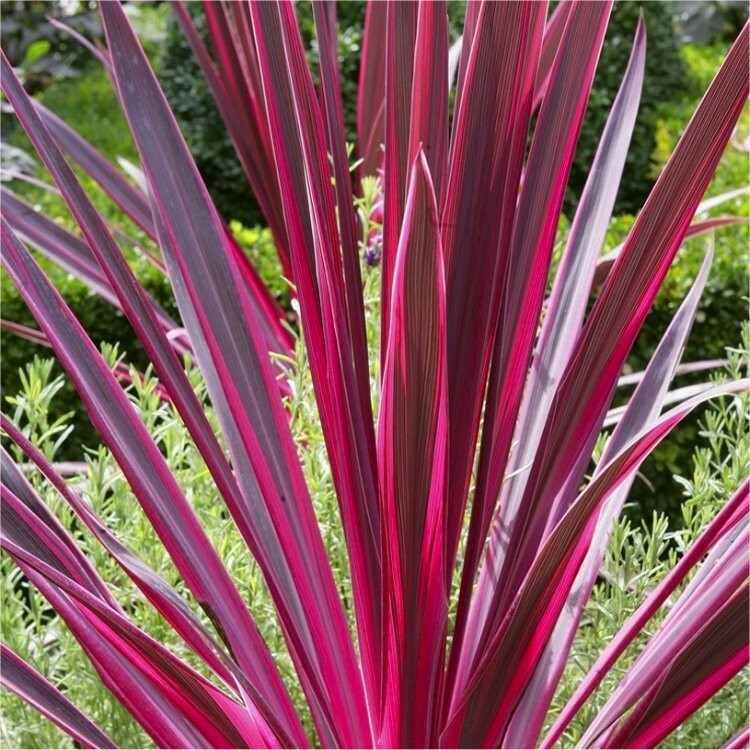 Deep bronze-purple-red foliage with a wide, distinctive pink edging. The bright pink colouration is combined with tactile foliage, bold arching leaves are almost reminiscent of a phormium. With hardly any green visible in the leaves, the colouration is electric; Strikingly striped with bright fuchsia pink and bronze. This plant will make a lovely container plant for a patio where its leaves can be gently stirred by the breeze. How lovely would it be sitting in your garden this summer with the shadows cast by these beautiful architectural plants dancing on your patio! These Cordylines can be drought resistant plants, so are ideal for the gardener who occasionally forgets to water too. We recommend growing them in large containers with good drainage or as feature plants in sheltered spots of the garden. The striking look will makes a fantastic focal point and add a touch of the exotic to your garden what ever the size. 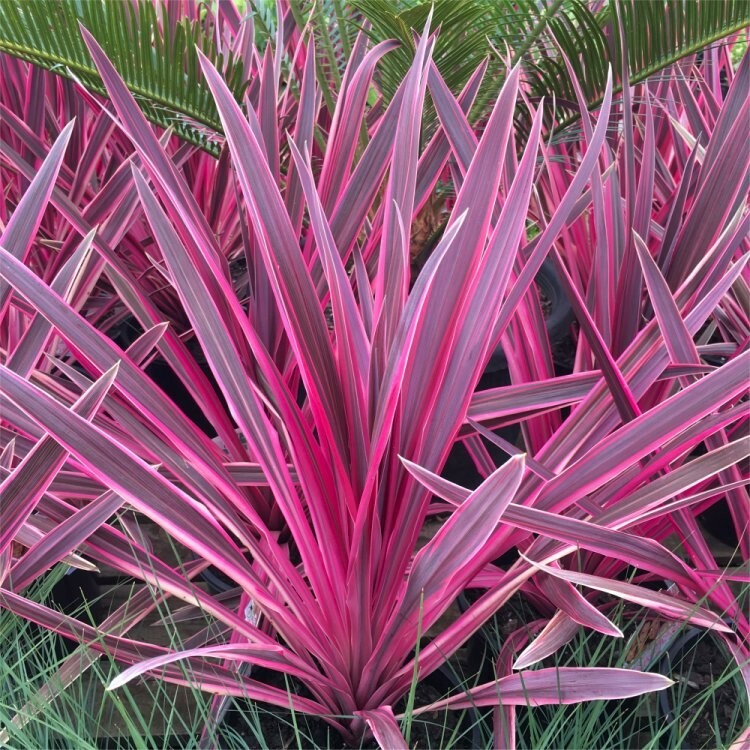 Despite the exotic appearance, Pink Passion Cordylines are hardy to as low as around -6 °C. Pack of two individual plants, each supplied in approx 2-3 Litre containers at an overall height of around 50-60cms tall, these are great value for the size and will make an instant dramatic impact in your garden.